Another summer of heavy investment was evident at City. New boss, Manuel Pelligrini, brought in Jesus Navas, Fernandinho, Alvaro Negredo, Stefan Jovetic and Martin Demichelis for a total outlay of over £100 million. Once again, there was a massive clear-out with nine players, five of which being first-team players, leaving City for around a fraction of their relative purchase prices. The major summer departures included players like Carlos Tevez, Kolo Toure, Wayne Bridge, Roque Santa Cruz and Maicon while Scott Sinclair and Gareth Barry left the club on season long loan deals. After City won the title in 2011, they tried to strengthen their squad but in my opinion they failed dismally in that attempt. Players of a proven premier league quality such as de Jong, Johnson, Adebayor and Ballotelli were all sold and replaced by Garcia, Sinclair and Rodwell. Player for player, the in-coming players resulted in City moving backwards rather than forwards. 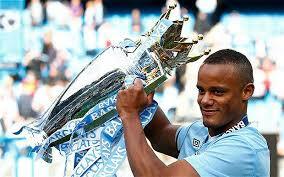 I believe this was the reason why they did not manage to put together an adequate defence of their title last season. With the addition of quality again this season, I believe City are once again on the right track. 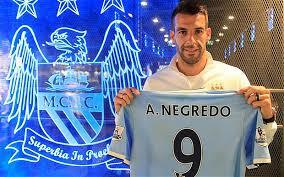 They will feel the loss of Tevez who moved to Juventus, but Negredo and Jovetic are quality replacements who will only get better. Their squad looks strong once again, but, for a title challenging side, they are far too reliant on their big-name players. City look empty without their captain, Vincent Kompany, and never look capable of keeping a clean sheet, especially when Javi Garcia plays at centre back. Last season, we also saw how dependent City were on Yaya Toure and Sergio Aguero and when those two were absent from the team, the team looked very average despite their big-name status. Apart from the shock defeat to a stubborn Cardiff City side, City has been very comfortable this season, labouring to victories over Newcastle and Hull City. I fully expect them to be challenging for the title up to the end of the season and their owners will not expect anything less from their expensively assembled squad. Feel free to comment on this post. Whether you agree or disagree, this is all for the love of the game and for the fans. 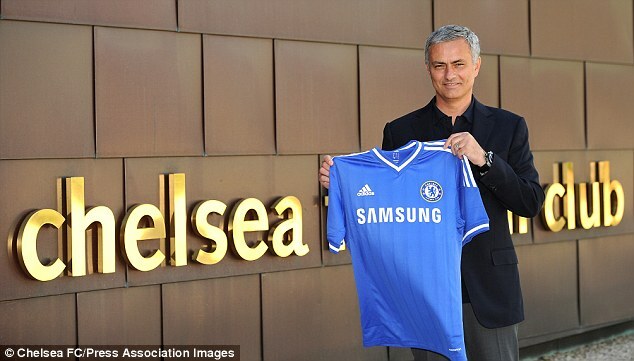 “The Special One” is back – Jose Mourinho has returned! Chelsea fans have finally got their man (again!). Investment was less than previous years but still amounted to £60 million. Particular importance was youth with four of the signings being under the age of 25. Only Schwarzer and Eto’o are over 30 but both were free agents, which can only be a good thing for Chelsea. No big name player left the squad in the off-season. The additions can only add to the strength of Chelsea’s squad and add to their push for the premier league crown. Chelsea’s squad is looking a lot younger compared to the one from a couple of seasons ago and many of the younger players are seen as direct replacements for the outgoing players. 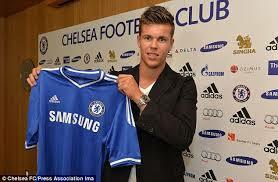 For example, van Ginkel has many of the qualities which make him a young Lampard, and Lukaku was signed as he was seen as the “new Drogba”. 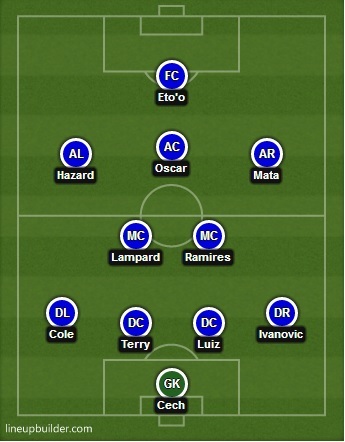 Chelsea’s squad is taking shape and Mourinho’s mark can already be seen. They put away newly-promoted Hull City with relative ease before Aston Villa provided them with a serious challenge. Mourinho even stated that Villa perhaps deserved a point from the game for the way they pushed the Blues. United-Chelsea promised a lot but in the end gave very little as the teams played out a very lacklustre 0-0 draw. The most exciting part was when Mourinho could not find his pen and could not make any of his trademark notes. Chelsea’s potential has not yet been fully reached. I expect them to challenge for the title, but there is something about them that makes me think they will not win the title this year. If they managed to sign a striker they quality of Wayne Rooney or Robert Lewandowski, I think there would not be a question that the title would be heading back to the London club. In a couple of years time, the young talent that Mourinho has at his disposal will be more mature and ready to mount a complete attempt at the title. For the first time since 1986, United has a new manager at the helm. 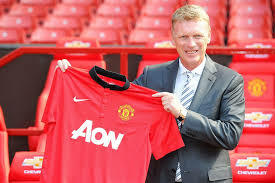 The biggest challenge for them this year will be how David Moyes manages to fill the void left by his predecessor, Sir Alex Ferguson. Much of the transfer window involved speculation with big name players. Cristiano Ronaldo, Gareth Bale, Cesc Fabregas, Robert Lewandowski, Ander Herrera, Fabio Coentrao and Leighton Baines were all linked with the Red Devils, but in the end the only signing was Marouane Fellaini. 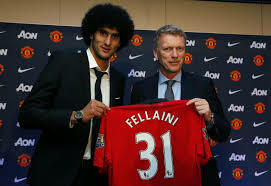 At Everton, Moyes played Fellaini in the hole behind the lone striker and the success he achieved in that tactic would point to him deploying the same tactic at United. However, this does further raise the question of Wayne Rooney. The England striker was linked with competing clubs throughout the transfer window and in the end no move materialised. While Fellaini is a very good player, he is no Rooney and does not offer the same all-round game that embodies a United player. But, £27.5 million is far too much money to spend on a recent acquisition only for him to warm the bench. Under Ferguson, United always had a powerful squad. Their strength in-depth was key to their success over the years. I can only see Fellaini being used in central midfield. Indeed the biggest loss to the squad was the (second) retirement of Paul Scholes. I believe in like-for-like replacements in order to develop a strong squad. Fellaini is a very different player to Scholes though. 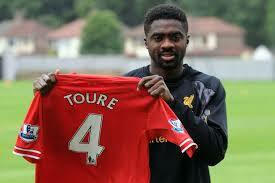 He provides more physicality to the United midfield and will therefore give them something different. United could suffer by not finding an adequate replacement for their midfield general. United have had a tough start to the season. After their impressive first round win against Swansea in Wales, they drew at home to Chelsea and lost away to Liverpool. They were not penetrative enough in both games against their rivals and failed to score for consecutive matches, a statistic one does not usually associate United with. Although, their squad has remained very similar, the losses of both Ferguson and Scholes have resulted in many United fans questioning what is going on at their club for the first time in many, many years. I believe that if United manage to keep up with the other title challengers up until at least March then the season would be a success for Moyes. He is a very good manager but I don’t think anyone could ever meet up to the expectations of the United fans especially after their dominance in the premier league era. The end of the 2012 season came at the wrong time for the Reds. Results were going their way, especially on days where their performances didn’t quite deserve three points. Brendan Rodgers second term at Liverpool started with one of the major headlines of the transfer window – where does the future of Luis Suarez lie? In the end, the Reds managed to keep their main man while also conducting other smart pieces of business within the window. Jamie Carragher, the rock at the heart of Liverpool’s defence, retired after 17 years with the club. 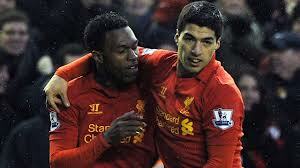 Liverpool responded by bringing in three central defenders to attempt to fill the void. A striker in the form of Iago Aspas was brought in to replace the out-going Andy Carroll who did not endure the greatest spell at Liverpool. Loan deals for a few players were also entered into. As a result the out-going players were all replaced so the squad is general looks good. Last season, Rodgers told the team that he did not care what their name was and what they cost the club – if they played badly, they would be dropped. This resulted in a lot of their younger players needing to step up. Many of them exceeded my expectations of them and this can only add pressure to the current first team as they know there are players waiting to step up if and when called upon. 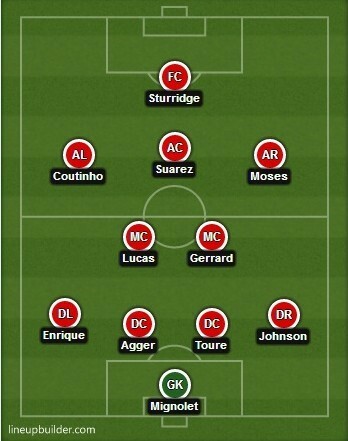 Rodgers has brought in more defensive minded players while letting go of more of seasoned attacking players. This suggests that he identified defence as an area in need of strengthening, which has now taken place. Letting attackers go without bringing in replacements means to me that Liverpool will depend on their youth once more. Raheem Sterling and Jordan Ibe will likely be the beneficiaries of the departures. This season, Rodgers will be keen to improve on last season’s results. So far, the Reds have been without Suarez due to disciplinary reasons, but they have managed to win their first three league games. Three wins, three clean sheets, three Sturridge goals – three very good team performances. There is something different about this Liverpool side, a confidence I have not seen since the 2009 season where they pushed United to the second last game of the season. 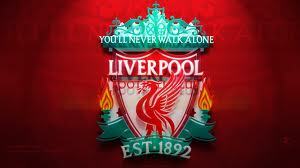 Team morale is high and the new talent in the squad play the type of football Rodgers has always been interested in. While their performances have been impressive thus far, the season is still in its infancy and Liverpool has the unfortunate habit of being inconsistent. Brilliant one week and very average the next, Liverpool will need to overcome this shortcoming should they wish to take part in the Champions League once more. The strength in the other squads does make this a more challenging goal but a European finish would be a success for Liverpool, with Rodgers identifying the top four as their major goal for the season. Welcome to “The 12th Man”! Greetings all! My name is Rowan Ellappen. I once took a Facebook quiz and it said my gangster name is “Rowizzle” (the first three letters of your name, plus –izzle). My friends took note of this, but shortened it to “Wizzle”. Since then there have been different variations of it, including “Wiz-dawg”, “Wiz-pot” and even “Wizzlicious”. 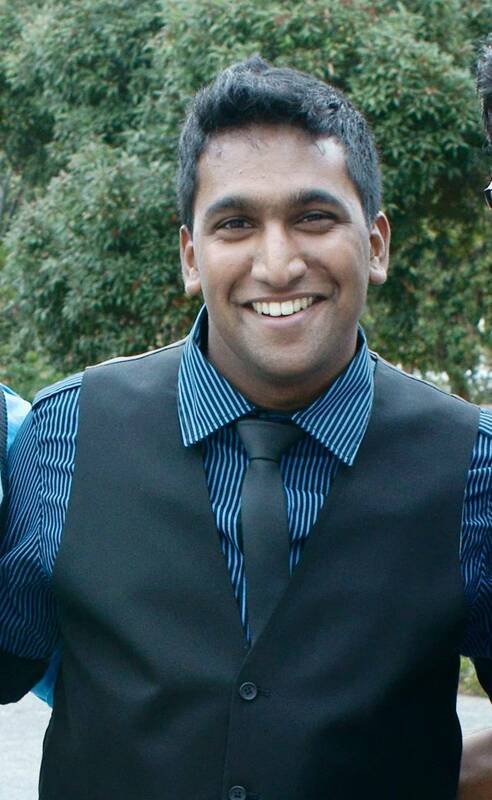 I am 23 years old and I am currently completing my post-graduate studies in Marketing at the University of Cape Town. I have an under-graduate degree in Accounting but I would really like to stay clear of that 😀 I have always been interested in the thinking behind marketing campaigns, especially the promotional aspect of advertising. Another side of this is the way people think. In fact, I was very interested in studying psychology but in the end I went into commerce. I would love to work in the advertising world one day. However, as I will be completing my full-time studies at the end of this, I am open to almost any opportunity which presents itself to me. I am a shy, introverted person, but once you get to know me, you will find it very difficult to keep me quiet. The first thing you will notice is how much I absolutely LOVE Creme Soda. Some of my friends actually ask me if something is wrong if we are at a restaurant and I do not order one. Another thing you will see is that I also love sports. I played Chess, Cricket and Hockey during my school years and represented Western Province and South African at a junior level for Chess. I am proudly South African which makes me a very strong supporter of all our national sides. When I was younger, I knew the batting averages and high scores of almost every cricket player in the national side. During my under-graduate, my Monday mornings were never dull owing to the question: “did you watch the game last night?”. A couple of my friends and I would discuss the soccer games from the past weekend in full detail, including goals, tackles, fouls and refereeing decisions. 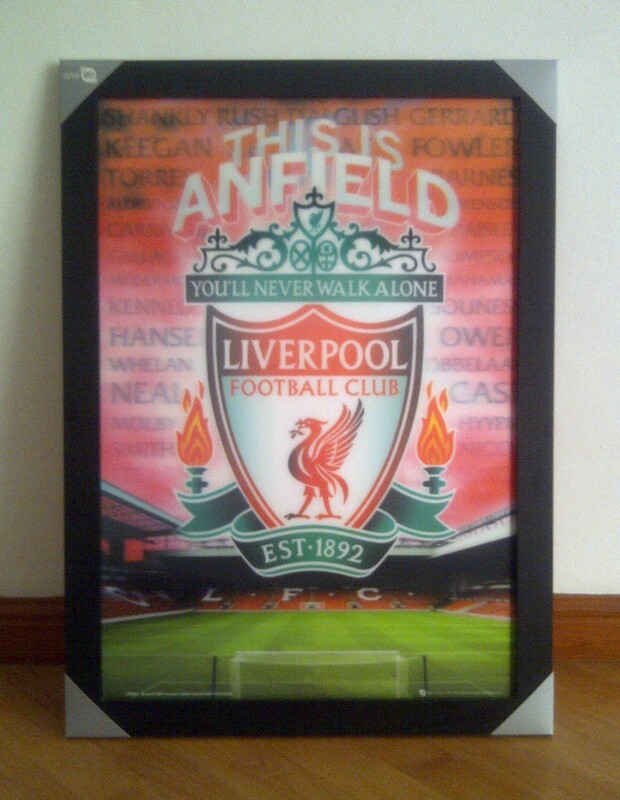 We all support teams in the English Premier League including Arsenal, Chelsea, Man United, Man City, Tottenham and my beloved Liverpool. We also played the fantasy football game and had a competition against each other to see who would win come end of the season. Those discussions every morning for five years is my inspiration for this blog. I am used to reading articles on goal.com and other soccer articles, but this will be my opinion about the teams, not only in England, but across Europe. I hope you like what I have to say. If not, I do encourage you to challenge my views as I am by no means an expert on the matter. As a result, I look forward to the discussions and comments that will follow my posts. This is me, doing it for the fans.